I often get asked about what places to visit in China during a big trip. I guess it depends really on what you’re aiming to see. 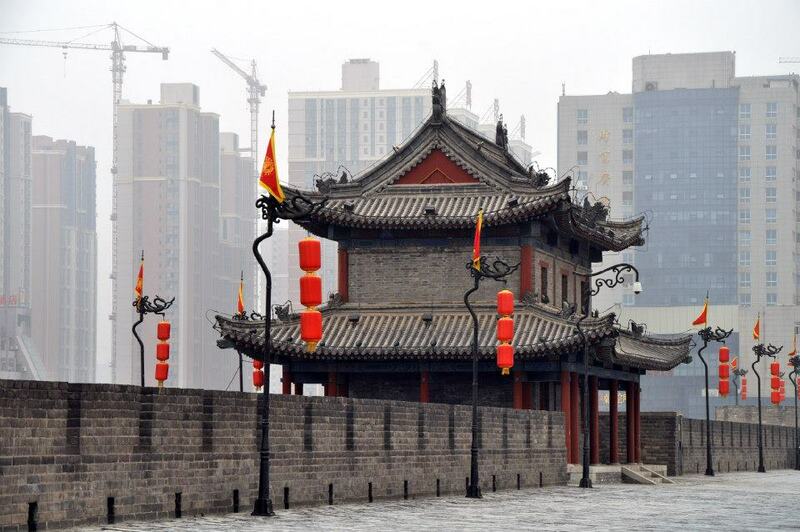 But there’s one place that I think all travellers should visit in China – Xi’an. Known mainly for being the home of the Terracotta Warriors, Xi’an is one of the few big cities left in China that still has some of its old sparkle. 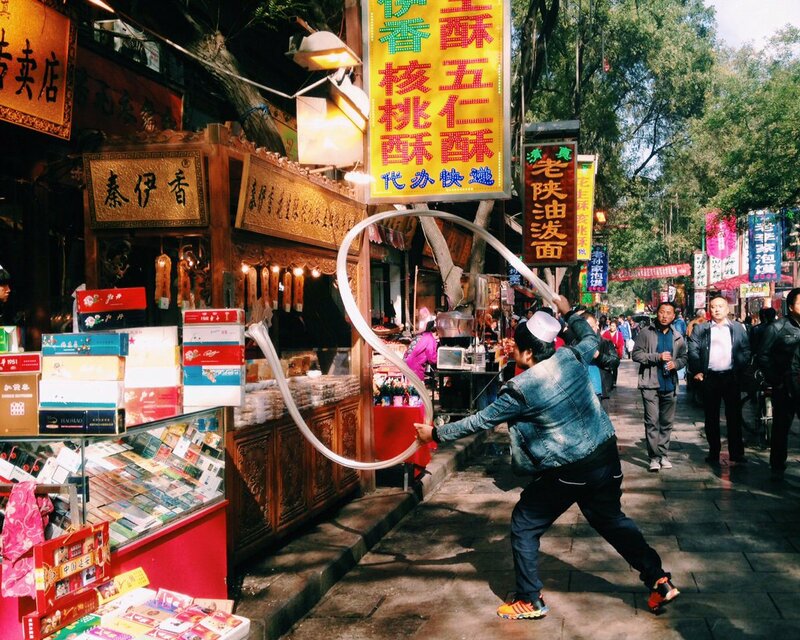 There are so many things to do in Xi’an! It’s changing fast. When I lived there, I trekked 2 hours to the nearest H&M but now western brands are popping up everywhere which means that if you want to see the city at its best then you should definitely go sooner rather than later. China is changing rapidly and as much as I love the big cities of Shanghai and Beijing, there is something rather beautiful about the country’s smaller cities. So I’ve put together a list of things to do in Xi’an. If you’re travelling through on a budget then definitely stay at Hangtang Inn. The mattresses there are some of the best beds in China (I promise!) and its location means it’s the perfect place to explore the city. For mid-range hotels, there are some good Chinese chains such as Hangting which are the European equivalent of an Ibis. There is also a Hotel Ibis in the city! Xi’an also has a range of more expensive chain hotels including the Westin and the Sofitel. Both have really good service but I would recommend staying at the Sofitel because it’s in a good spot just around the corner from the Bell Tower whereas the Westin is further out near the Wild Goose Pagoda. The Bell Tower right in the centre of the city is a good place to start. It’s open every day of the week. To get to the tower you need to go via the giant round underpass and there will be a sign to the entrance from there. The city’s Muslim Quarter is always a big hit. Xi’an was a major player in the Silk Road which means it takes a lot of influence from other countries along the way including Tajikistan and Afghanistan. 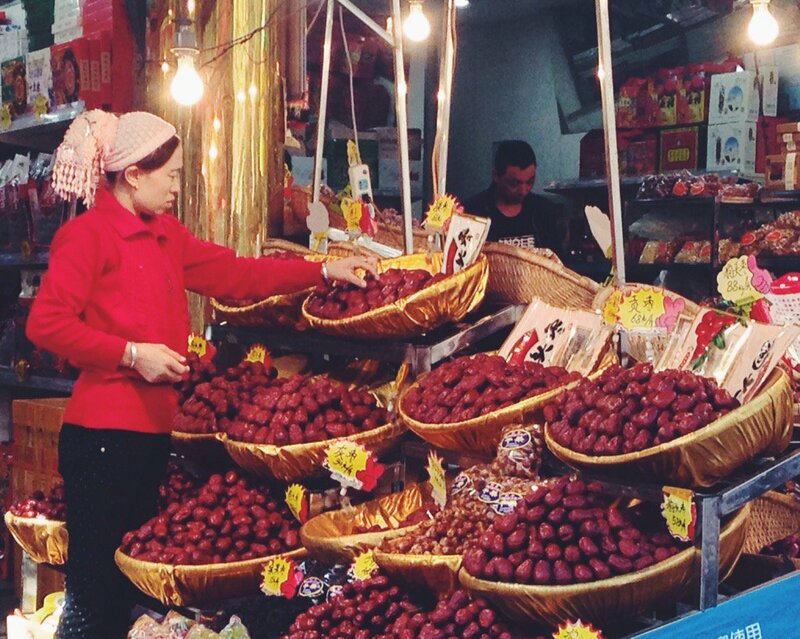 The Muslim Quarter has a giant market filled with good souvenirs and has some good food spots. Be sure to try the meat skewers and also the thick meat soup. To the west of the city is the Wild Goose Pagoda (Dayunta). It’s also where the largest fountain show in Asia takes place which means it’s a good place to spend an afternoon and an evening. Make sure to stop by First Noodle Under the Sun which has some of the best Chinese food in the city – definitely try one of Xi’an’s specialities, the ‘Chinese hamburger’ known as Roujiamo (We always used to pronounce it Roger Moore and it seemed to work well for us). 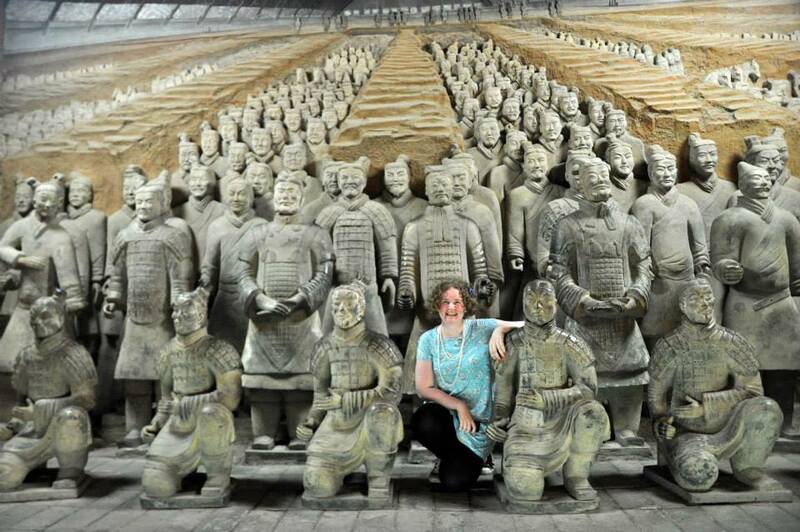 Xi’an is famous for the Terracotta Warriors and it’s fairly easy to get there from the city centre. Either you take a tour with one of your hotels or hostels or take a bus from the train station which costs around 7 yuan. One of the best recommendations I’ve ever had was seeing the pits in reverse order and it definitely leaves the best one to last. The city is surrounded by a giant wall that used to protect its people. Nowadays you can walk the entire 16km or hire a bike and ride along the wall. It’s a good way of seeing the sheer size of the city and understand what different parts of the city look like. For those of you who like a bit of an adventure, there is a Xi’an City Wall Marathon every year. Transport has improved in the city over the past couple of years. Two new lines have been added to the Xi’an metro meaning it’s now easy to get to and from some of the big landmarks. Aside from the metro, taxis are very handy in Xi’an but make sure to have the address of where you are going in Mandarin to help your driver. It’s very easy to walk around the city too as it is arranged in a grid method around the Bell Tower. Xi’an is served by both international and domestic flights. I flew there with Cathay Pacific via Hong Kong. However Hainan Airways and Finnair now operate direct flights to Europe. Tianjin Airlines now operate direct flights from London Heathrow! If flying isn’t your thing then the city has two train stations including a high-speed station where you can travel to Beijing in just under five hours! I’ve put together a guide on how to travel by train in China including how to buy tickets.